Much has been said about the arms, armaments, and tactics of the famed Roman legions. Suffice it to say, they played their crucial role from the Roman Republic days of 3rd century BC to the nadir period of the Roman Empire in 4th century AD. However, beyond the scope of just glorious battles and momentous results, there was a more intrinsic, humane side to the men who formed these legions – that was at once similar (and yet different) with cultures we can identify with. So without further ado, let us take a gander at ten surprising things you should know about the Roman legionary (*note – the article mainly covers the period between early 1st century BC to late 1st century AD when the Roman realm made its transition from the Republic to Empire). They are nurtured under the open sky in a life of work, enduring the sun, careless of shade, unacquainted with bathhouses, simple-souled, content with a little, with limbs toughened to endure every kind of toil, and for whom wielding iron, digging a ditch, and carrying a burden is what they are used to from the country. In some cases, the romanticizing of country life was stretched to such a degree that even mutinies in the army were squarely blamed on ‘soft’ city-bred recruits (as was done by Tacitus). And since we brought up the ‘character’ profile of a legionary, after being selected for the army, the young man (usually in his late teens or early twenties) had to go through a period called probatio. During this time, both his character and medical condition was heavily scrutinized by enlisting officers. Suffice it to say, the perceived ‘immoral’ recruits (like thieves and such) were weeded out and banished from the army. Contrary to our popular notions, a Roman legionary was not always a Roman citizen (though he was supposed to be, at least ‘in papers’). This law-bending scope was a practical outcome of the civil wars that plagued the Roman realm during the end of the Republic era. 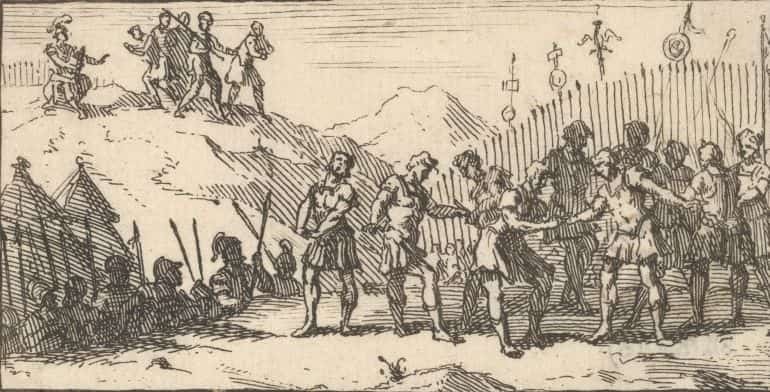 For example, Julius Caesar raised the legio V Alaudae from the native Gauls and later naturalized their citizenship. Even during the tumultuous period of the latter part of 1st century BC, Marc Antony didn’t have access to the major recruitment grounds of Italy. 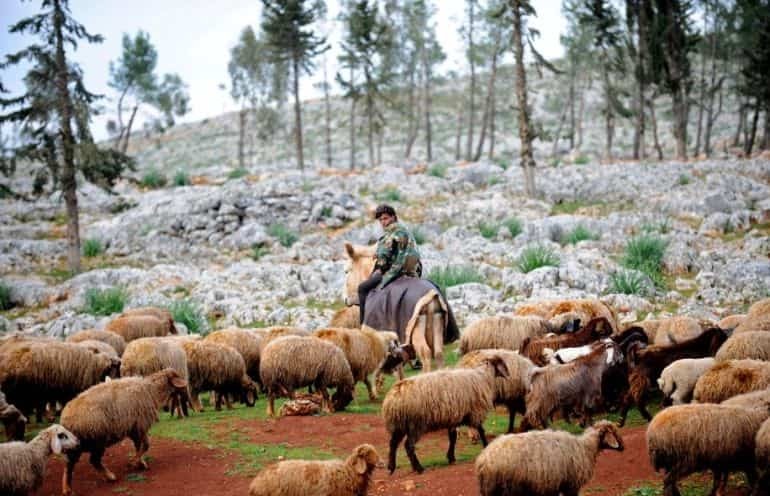 As a desperate solution, he started filling his army ranks (consisting of around 23 legions) from the native population of the eastern provinces Syria and Egypt. So simply put, oftentimes Roman citizenship was not a requirement, but rather a status that was conferred upon the Roman legionary during his time of enlistment. However free birth was still a requirement, with slaves being barred from the career of soldiery – though they might have been inducted as supporting units inside a legion used for menial works (see entry 9). 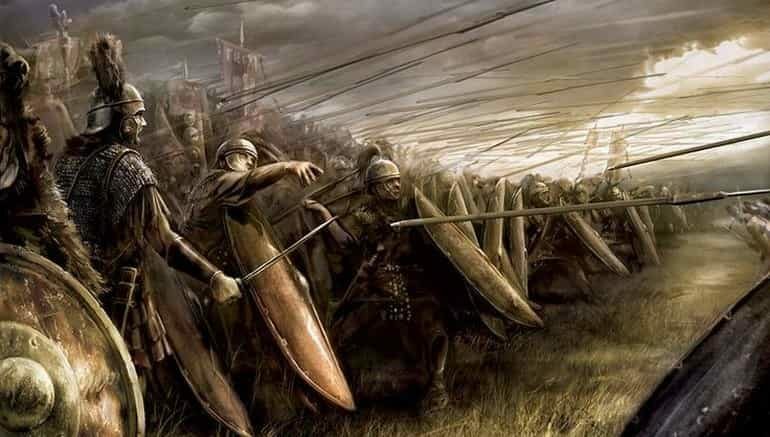 Moreover, while the legionaries were supposed to be volunteers who joined the army, many of them were simply conscripted into the legions – due to the requirement of higher manpower during the civil wars and the later Augustan period. There was one particular instance (according to Tacitus) when Emperor Tiberius wanted to tour the entire Roman countryside in a bid to conscript new recruits to fill up the positions of the discharged veterans. The ruler was keen on taking this drastic step due to lack of volunteers who would join the legions. The green recruits who were successfully enlisted as legionaries had to go through a training period of 4 months. During this training ambit, each soldier was given the unenviable task of marching 29 km (18 miles) in five hours with regular steps, and then 35 km (21.7 miles) in five hours with faster steps – all the while carrying a backpack that weighed 45 lbs (20.5 kg). This weight was intentionally allotted for increasing the endurance level of a Roman legionary and thus added to the overall weight of the panoply worn by the soldiers in their full gear (the weight of the lorica segmentata armor alone might have gone beyond 20 lbs). As expected, the ‘slowpokes’ were severely beaten by centurions and officers with their staffs. Interestingly enough, many of the similar ‘regimens’ are preserved through our modern military culture – with elite forces of some countries trained via the rigorous boot camp methods. We see no explanation of the conquest of the word by Roman people than their military training, camp discipline and practice in warfare. During the latter part of 1st century BC, Augustus followed the guidelines of the preceding centuries and officially formalized the length of service of a Roman legionary to 16 years (in 13 BC). But it should be noted that even after 16 years of service, he was expected to join the vexillum veteranorum or unit of veterans for four more years – (see entry 9). However, by 6 AD, the initial length of service was increased to 20 years, and it was complemented by the praemia militare (or discharge bonus), a lump sum that was increased to 12,000 sesterces (or 3,000 denarii). And by the middle of 1st century AD, the service was further extended to 25 years. Now beyond official service lengths, the protocols were rarely followed at times marked by wars. This resulted in retaining of the legionaries well beyond their service periods, with some men fighting under their legions for over three to four decades. Suffice it to say, such chaotic measures frequently resulted in mutinies. As for pay, other than the lump sum of praemia militare, a basic Roman legionary was paid 900 sesterces per year (paid in three installments). This pay scale remained the same till at least 80 AD, in spite of presumed inflation. However, the pay differed for the various units in a legion, with under-officers and specialists being paid one-and-a-half or twice the basic pay grade. And furthermore, this pay figure was only a nominal value from which various deductions were made in accordance with the goods (like food, equipment, attire and even burial fees) consumed by the legionary. Still, there were cases when the Roman legionary was paid less than he deserved, and sometimes the ‘swindling’ measures were initiated by giving the soldiers worthless parcels of land instead of the praemia militare. On the other hand, many potential recruits were still drawn to the prospect of joining a legion because of the booty factor. In essence, many charismatic commanders touted the apparent prevalence of loot (and its ‘fair’ distribution), especially when conducting wars against the richer and powerful neighbors. According to Cicero (as noted by Ross Cowan), this might have been the prime factor that motivated the disparate troops under Marc Antony. The popular practice also alludes to the penchant for plundering – with the soldiers tending to strip the dead as the very first act after achieving victory over their foes. Shields and pila taken from among the enemy’s arms were placed to serve as a palisade, corpses as a rampart. On top, impaled on sword points, were severed human heads. Beyond discipline and training, one of the crucial reasons for the effectiveness of a Roman legionary was directly related to his sense of fraternity within a century (made of 80 men). On a deeper level, a century (centuria) was further divided into ten contubernium (a ‘tent group’, each consisting of eight members). Such classifications basically led to a behavioral aspect of comradeship among the tent group who fought, dined and rested together in their military careers spanning over decades. This sense of identification often translated to high morale and protectiveness on the part of the legionaries when fighting in an actual battleground. Interestingly, the contubernium was not just limited to the bonding exercises. 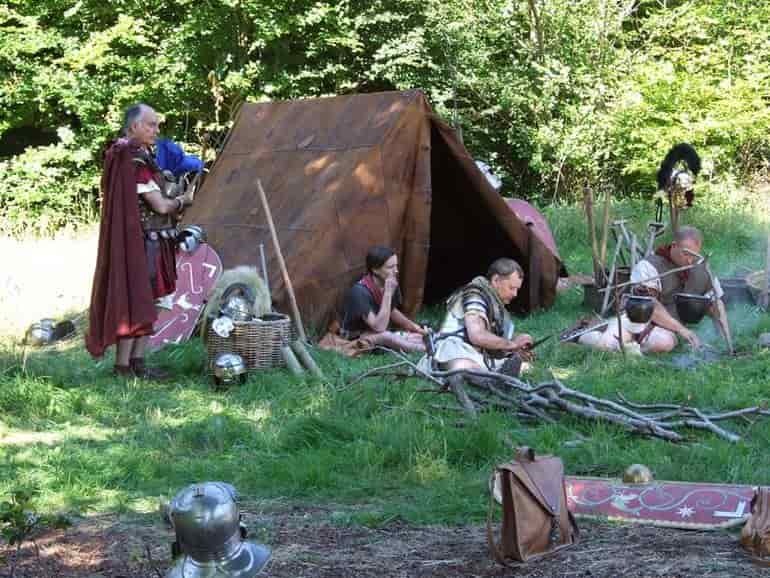 The Roman army also pushed forth the tent group as a mess ‘team’. These grouped soldiers were expected to cook their own meals and eat them together (while the cost of food was deducted from their salaries). 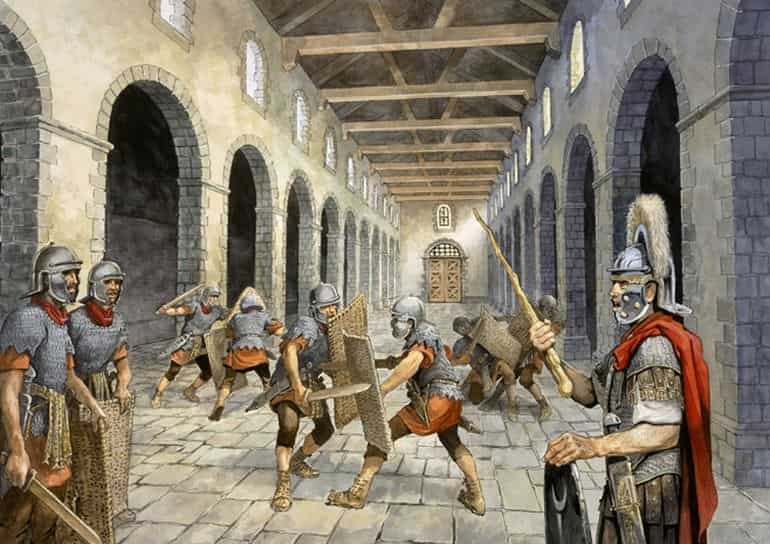 Simply put, the absence of mess halls and catering services rather solidified the bond between the legionaries who had to depend on each other even for peaceful meals. In our modern context, the very term ‘decimation’ pertains to the utter destruction of a habitat, populace or even an eco-system. 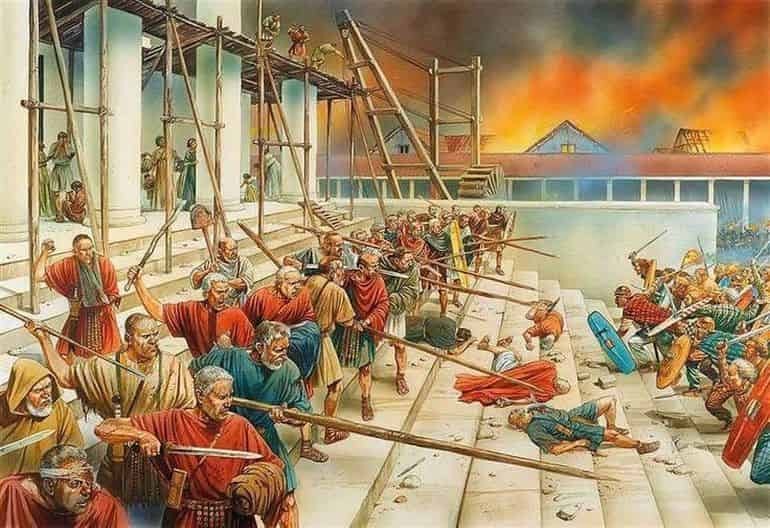 But as it turns out, a few Roman generals purposefully enacted the method of decimation as a disciplinary punishment for their legions! To put things into perspective, the word decimation comes from Latin decimatus, and itself relates to ‘decem’ or tenth. So when the punishment was enforced, it was most probably known as decimatio and the vicious process entailed choosing every tenth man from a cohort (approximately 480 men) to be put to death. And the utterly ruthless part was – this unlucky man had to be stoned or clubbed to death by their remaining comrades-in-arms, in a brutal practice known as the fustuarium. The remorseless (and very rare) punishment was usually reserved for the troops who have displayed insubordination, cowardice, will to conspire, murderous intent on fellow soldiers, participation in espionage activities, desertion or in few cases when they had faked illness so as not to participate in upcoming battles. 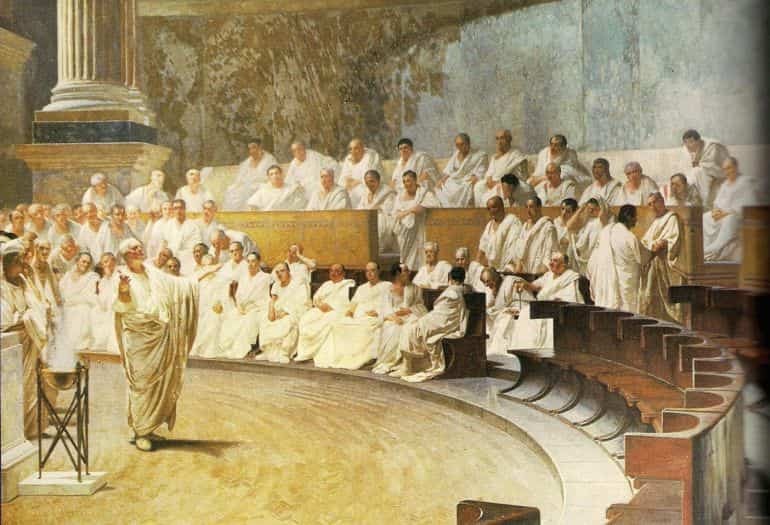 And in a true Roman fashion, the ‘democratic’ part of the severe process encompassed the selection of the soldier in a random manner (by lottery) – regardless of his rank, reputation or even his involvement in the actual transgression or revolt. The remaining soldiers were then sometimes forced to make their quarters outside the main army camp and given diets of barley which were obviously harder to digest than the usual rations of wheat. While the life of a Roman legionary was not all about glory and triumphs as popular media would suggest, there were some progressive measures put forth by the Romans when it came to bravery. For example, if the soldier was severely injured and couldn’t continue further with his military tenure, he was given a missio causaria or medical discharge that was equivalent to honorable discharge or honesta missio. This, in turn, equated to a societal status that was higher than ordinary civilians, which made the discharged legionary exempt from taxes and other civic duties. 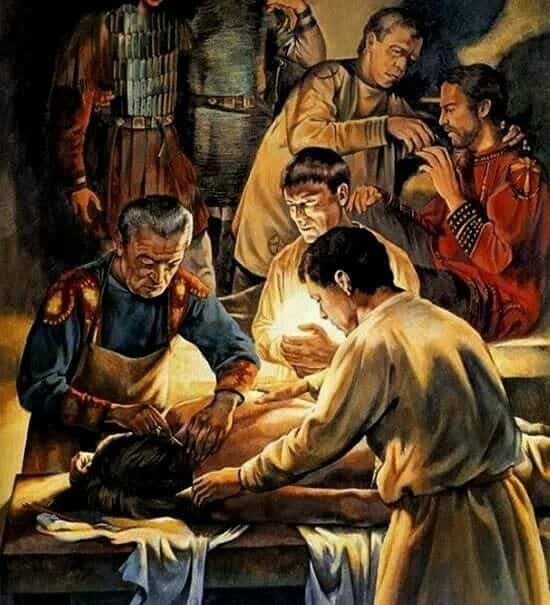 Now, of course, the chances of surviving after a severe injury was very low during this ancient era – even after being treated by the professional medici (surgeons and their staff) who were attached to each legion. So objectively, the missio causaria might not have been endowed on a regular basis due to ‘statistical interference’. A Roman legionary was only considered as a veteran after he had served for 16 years in the army. In the 1st century AD, even after such a long period of service, the soldier was not expected to ‘retire’ from his legion. Instead, the veteran was reinstated to a special unit of vexillum veteranorum for four more years of service. Typically consisting of 500 to 600 men, the unit had its own administrative branch with different officers. It was however attached to the original legion, but at times were deployed independently. The latter case is evident from their separate garrison at the town of Thala, with this particular vexillum veteranorum being derived from legio III Augusta in 20 AD. Unsurprisingly, the veterans with their years of experience were highly successful against the onslaught of Tacfarinas and his Numidian forces. Other than vexillum veteranorum, there were also slaves (or calones) that could be attached to a legion. Though unlike the veterans, they were governed as a part of the legion, with 120 men attached to each cohort of 480 soldiers. So basically, a single legion (generally comprising ten cohorts) could be accompanied by around 1,200 slaves; and these men were trained for specific tasks. During times of emergency, they were even armed with weapons to defend their camps. 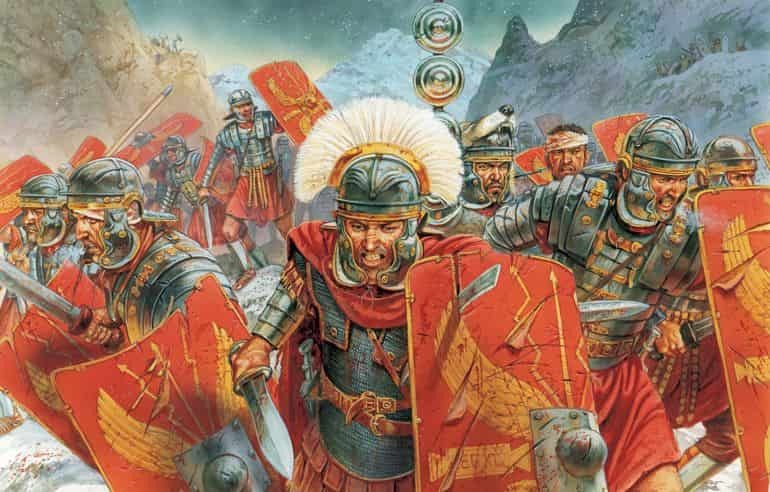 And finally, the soldiers who truly made a Roman military unit self-sufficient were the immunes, a group of highly trained specialists attached to each legion. Ranging from doctors, engineers to architects, these men were exempt from the hard labor duties of the rank-and-file soldiers, while also earning more than them. The traditional shield of the Roman legionaries was the scutum. And while the standard scutum of 1st century BC pertained to an oval-shaped shield that weighed around 10 kg (22 lbs), its shape was transformed to a curved rectangular board during the Augustan period. This change drastically reduced the weight of the shield to 7.5 kg or 16 lbs (with later specimens probably weighing even less at 5.5 kg). And as can be gathered from the transference of this weight, the shield was held by a horizontal grip with a straight arm posture. In fact, while the rectangular scutum, roughly measuring 102 cm x 63 cm, did a good job of covering the torso of the Roman legionary, its crucial advantage lied in its offensive capacity. 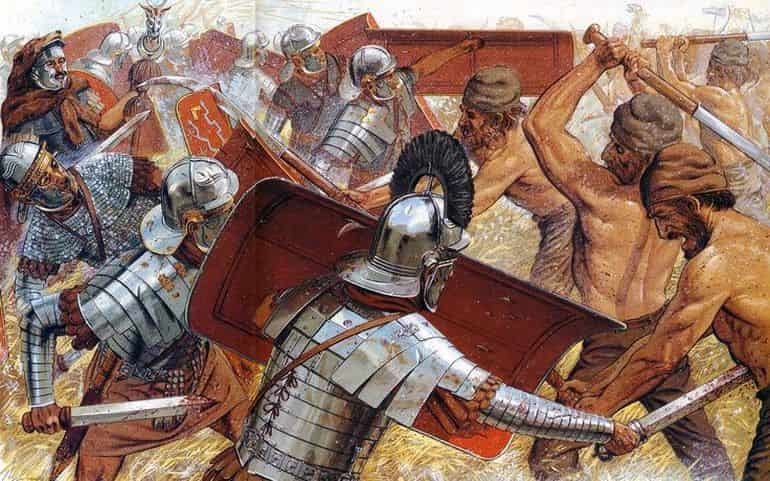 To that end, the legionaries slammed into their opponents with the full weight of the shield, while its prominent boss was used to violently push away and then topple the enemy. According to Tacitus (as mentioned in his Agricola), such tactics were effectively used by even the auxiliary cohorts (with their flatter shields) at Mons Graupius against the Caledonian foes. The other incredible offensive arm was the pilum, which has been described in one of our previous posts about the Roman army. 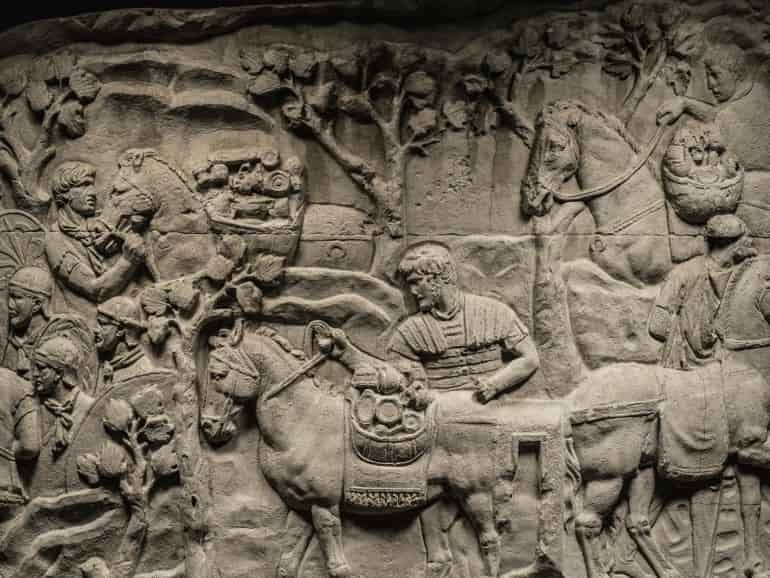 For more information on Imperial Roman Legionaries (from 2nd century AD to late 3rd century AD), you can check out this article.